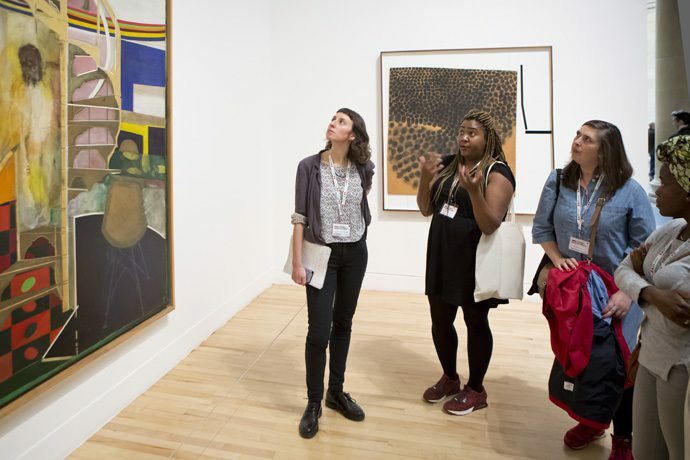 From 6-8 October 2016, BAM in partnership with Iniva presented the Now & Then…Here & There: Black Artists and Modernism conference at Chelsea College, University of the Arts, London and Tate Britain, alongside BAM leader Sonia Boyce’s curated exhibition, Now! Now!…in More Than One Place. The programme was extremely rich, and from which, the notion of “collage” and the imagining of “constellations” began to be mapped out in new, exciting ways. The programme was extremely rich, and from which, the notion of “collage” and the imagining of “constellations” began to be mapped out in new, exciting ways. Showing works from the 1940s from artists who are British, or who have lived, trained or worked in the UK, the exhibition aimed to provoke the viewer to re-think representations that are far too easily collapsed back into simplistic binary classifications in relation to race, sexuality and gender. The selection included diverse mediums, subjects, motifs and allusions, that the viewer may create multiple unexpected connections between works. For example, Ope Lori’s photographic work, After Newton (2012) depicting the insolent gazes of the three ‘white’ females, found a connection with Yeu-Lai Mo’s image Spitting (1996) made almost a decade earlier, where the gaze is also locked onto the eyes of the central figure whose sputum hits the lens. Similarly, the three channel video installation, It Is As If (2015) by Vong Phaophanit and Claire Oboussier, with its close-ups on unidentified arms and hands, and the landscape of Laos, the Thames and Mekong Rivers, found a parallel to Hetain Patel’s The Other Suit (2015), a four channel video installation whereby the male body is split and duplicated across four screens; at times a body in context of a living space, another, a performative body in the foreground. Yeu-Lai Mo, Spitting, 1996, colour photograph, 500 x 605mm. Image courtesy of the artist. He asked a key question, “What does the blackness of Black Britishness stand for?”, with the reminder that “what purely empirical accounts lose sight of… are precisely the analytical tools that Stuart Hall gave us in the 1988 ‘New Ethnicities’ essay, when he pointed out that, as a collective identity position, the materials ‘black’ are made out of are discursive through and through.” With this consideration in mind, Mercer advocated again the principle of ‘collage’ as an aesthetic strategy for our contemporary lives “which are composed of heterogenous elements from multiple origins” and which can help “ask how our identities have themselves been collaged into history by contradictory forces.” Over the next two days, the motif of ‘collage’ as strategy would itself re-surface throughout the conference and became a helpful mode in grappling with the range of ideas explored in the conference. 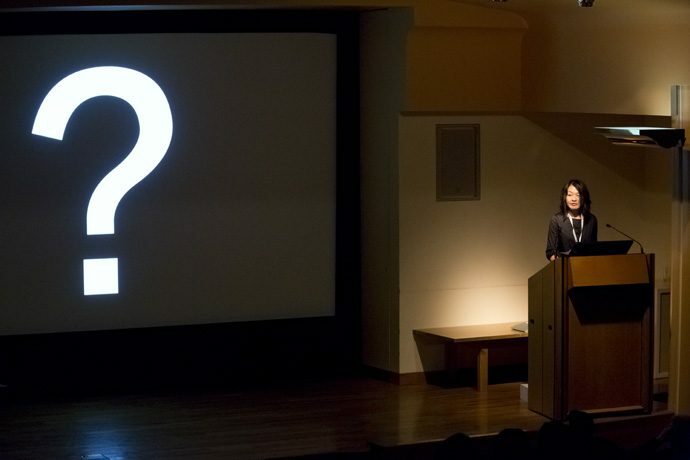 The questions raised by Mercer regarding “Blackness” and identity were echoed in the session, Artists’ Practices with Permindar Kaur’s self-questioning, “Am I a Black artist?…What does that mean? Who defines it? And do I have a choice?“ and her reflection that “How people describe your work is important as it is how they see the work, if you are introduced as a Black Asian artist, people expect your work to be about identity.” This resonated with Vong Phaophanit and Claire Oboussier’s presentation, especially when Phaophanit shared how his tutor had once declared to him, “You are Laotian… as a Laotian student, you should be making Laotian work or Laotian art.” Similarly, during the 1993 Turner Prize competition, art critic Brian Sewell raised in direct response to his nominated inclusion, that according to the rules, the prize was for British artists only. If Kaur expressed uncertainty at the validity of her inclusion as a Black artist, Phaophanit’s biography has been used to constrain his practice and also exclude him. This reminded me of how when attending the 1998 conference Identity Papers: Undoing Asian Culture, it was specified to me directly by a presenter that for the purposes of the conference, the term ‘Asian’ would only mean “South Asian”. 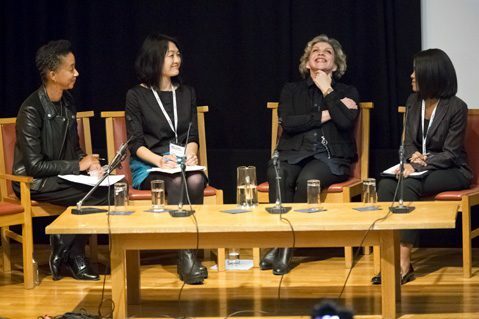 (This limited use is unusual and specific to the UK, which often bewilders those born in Asia major when told by arts and academic communities in the UK they are not considered Asian.) More significantly, the programming of these presentations into the frame of “Black Artists” introduced different cultural coordinates that provided new territorial contours for consideration. 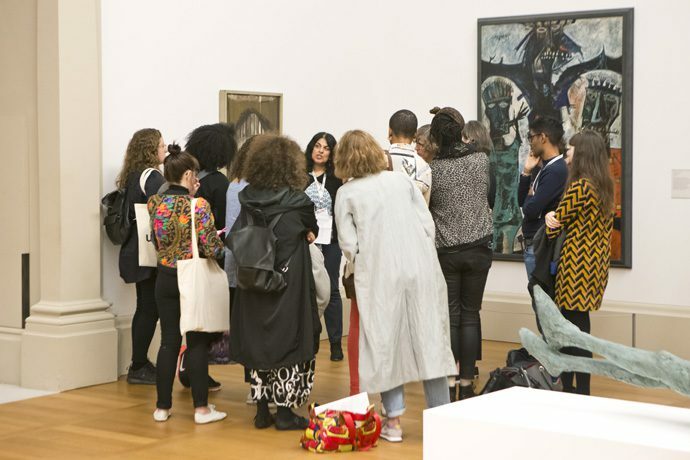 The conference included a number of breakout sessions held within the Tate galleries, led by members of BAM (Anjalie Dalal-Clayton, Marlene Smith, David Dibosa, Paul Goodwin), Iniva (Laura Castagnini, Rohini Malik-Okon) and conference speakers (Rachel Garfield). In the breakout session I attended, led by BAM convenor David Dibosa, conference participants joined in a lively discussion over the presentation of works by BAM artists Donald Rodney and Eddie Chambers, which underlined how exhibition texts and the hang of the works reveal embedded institutionalized ideas of how the works are not described or merited on their own account, but usually linked to the post-colonial concerns and the artist’s racial biography. Particularly, Eddie Chambers’ Destruction of the National Front (1979–80), a work that illustrates collage without actually being so, is an acute reminder to look deeper and closer. The theme of ‘collage’ was continued in the “Museology” session with Nick Aiken’s presentation where speaking of the Van Abbemuseum’s collection and exhibitions, he expounded on collage as a curatorial practice “reflective of different temporalities”. He advocated drawing upon the archive of collections to construct contrapuntal display, where one could extend the notion of assemblage even further with reference to Walter Benjamin’s use of “constellation of temporalities that can collapse the ‘here’ and ‘now’”. In this manner, exhibitions could provide constellations of positions that span time-frames, and would defy chronological framing and thus, fracture Eurocentric linear narratives and the white universalism of the white cube. Lucy Steeds, as respondent, pushed the question further as to whether the notion of ‘collage’ as strategy might also be useful in terms for “collecting” for the museum. With reference to presentations in the Museology session, Kobena Mercer then asked the insightful question regarding how we reap the benefits of collage when currently, in research and critical thinking, there is a re-scribing of racial and cultural politics, and how might one reconcile this with a concurrent urge to return to formalist readings? Are both approaches negotiable in relation to the other? These theoretical challenges were taken up in the ‘Critical Vocabularies’ segment (curated by Iniva) where Irit Rogoff observed that we are living in a “state between overlapping paradigms where we have difficulty locating oneself”, and hence we have a renewed necessity for an exploratory language that can express how we might traverse between the different paradigms whilst feeling the ‘pressure to inhabit them all at once’. 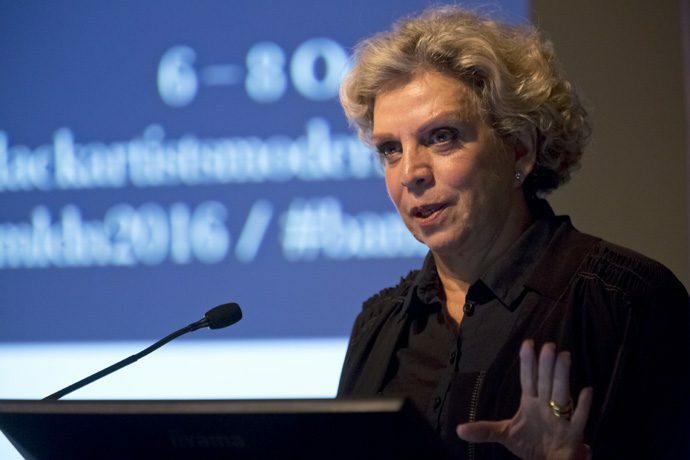 She proposed the strategic concept of “jumping scale”, whereby one would take the reference, structure or framework from a small, specific study and scale it up to apply to broader paradigms, in an attempt to connect the specificity of the local and the broader perspective of the international. In parallel, susan pui san lok’s presentation of her artistic practice brought words flashing up rapidly on the screen; a sequence that demonstrated disconnection, subversion, breakage and re-formulation, against a manipulated montage of wuxia footage. These unexpected elements were collaged into the schema of “Black Artists” and in turn opened up new horizons with their unfixing of language and the inscribing of parallel constellations associated with contemporary Chinese performance art and Chinese filmmaking. This connection between constellations was an unexpected and tantalizing result for the conference, and opened up new pathways that only emphasizes the possibilities of new critical territories for “Black Artists” and Modernism. Annie Jael Kwan is an independent curator, writer, researcher and producer based in London. She trained in theatre arts, film and cultural theory at Goldsmiths College and then obtained a postgraduate qualification in Law. She has worked as producer and curator on numerous arts projects in the UK and internationally since 2005, working with major arts and cultural institutions, and international companies. She founded the curatorial partnership, Something Human, in 2012, to focus on her interests in the critical ideas and explorations surrounding movement across borders. Something Human has delivered projects in the UK, across Europe and in Singapore. She recently completed a curatorial research residency in Cambodia, with the support of the Artist’s International Development Fund from the British Council, ACE and NAC Singapore. She is currently undertaking a MA in History of Art and Archaeology at SOAS. For more information on the Iniva/BAM collaboration, including conference documentation when it becomes available, please see here. All images by George Torode, unless otherwise stated.